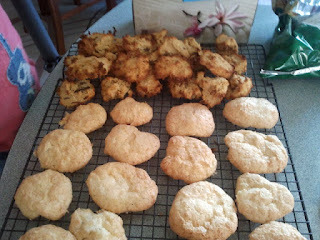 It’s been a while since I baked the kids some cookies, so I pulled out a couple of my favourite gluten and wheat-free recipes – coconut choc-chip cookies, and coconut macaroons. Obviously, if you don’t like the taste of coconut, stop reading now. 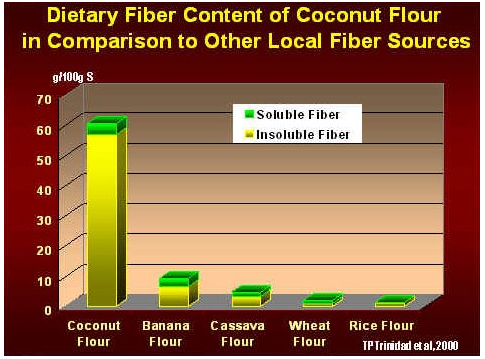 For those who do – consider the fibre content of coconut flour compared to wheat flour in the graph below. So if you like coconut and want to try something new, visit your local health food store and get some coconut flour. While you’re there, grab some flaked coconut as well. It’s much nicer than the dried out desiccated rubbish that you’ll find in the large grocery stores. I tried to find out which was the kids' favourite cookie, but they said both. So I then asked them which cookie they'd choose if they could only have one. You can find both of these recipes on the recipes page and a link to downloadable pdfs if you want to print them off.